What are the causes and risk factors of prolonged grief? The risk factors for experiencing more serious symptoms of grief for a longer period of time can be related to the survivor’s own physical and emotional health before the loss, the relationship between the bereaved and their family member or other loved one, as well as related to the nature of the death. For example, it is not uncommon for surviving loved ones who had a contentious or strained relationship, or otherwise unresolved issues with the deceased to suffer severe feelings of grief. Parents who have lost their child are at a significantly higher risk of divorce compared to couples who have not. They are also at increased risk for a decline in emotional health, including being psychiatrically hospitalized following the loss. This is a particular risk for mothers who have lost a child. Bereaved individuals who either feel the death of their loved one is unexpected or violent may be at greater risk for suffering from major depression, posttraumatic stress disorder (PTSD) or complicated grief. Major depression is a psychiatric disorder characterized by depression and/or irritability that lasts at least two weeks in a row and is accompanied by a number of other symptoms, like problems with sleep, appetite, weight, concentration, or energy level and may also lead to the sufferer experiencing unjustified guilt, losing interest in activities he or she used to enjoy, or thoughts of wanting to kill themselves or someone else. PTSD refers to a condition that involves the sufferer enduring an experience that significantly threatened their sense of safety or well being (for example, the suicide or homicide of a loved one), then re-experiencing the event through nightmares or flashbacks (feeling as if the trauma is happening again at times when the sufferer is awake), developing a hypersensitivity to events that are normal (for example, being quite irritable, getting startled very easily, having trouble sleeping, or difficulty trusting others), and avoiding things that remind the person of the traumatic event (for example, people, places, or things that the sufferer may associate with the death of their loved one). Being able to care for a dying loved one tends to promote the healing process for those who are left behind. That care can either be provided at home, in the hospital, or in hospice care. Hospice is a program or facility that provides special care for people whose health has declined to the point that they are near the end of their life. Such programs or facilities also provide special care for their families. What are the signs, symptoms, and stages of grief? 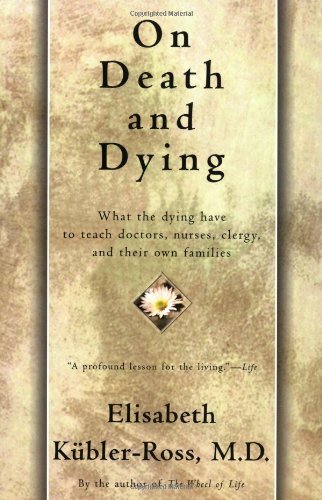 in her 1969 book titled On Death and Dying. She described the stage of denial as the bereaved having difficulty believing what has happened, the anger phase as the survivor questioning the fairness of the loss, the bargaining stage as wishing to make a deal with fate to gain more time with the one who was lost. The depression stage as the period when the bereaved person gets in touch with how very sad they are about losing their loved one, and acceptance as feeling some resolution to their grief and more ability to go on with their own life. Kübler-Ross apparently felt these phases can be applied to any significant personal loss (for example, of a job, relationship, one’s own health, anticipating one’s own death), as well as the death of a loved one. It also seems that she believed these stages don’t all have to occur, can take place in different order. 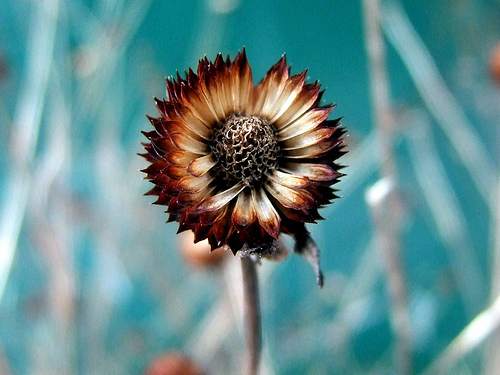 Grief can reoccur many times as part of an individual’s specific grief process. The shock or disbelief stage is understood as the numbness often associated with initially receiving the news of the death of a loved one. The guilt stage of grief refers to feelings of regret about difficult aspects of the relationship with the deceased. In addition to the emotional pain already discussed, symptoms of grief can be physical, social, cultural, or religious in nature. Physical symptoms can range from mild sleep or appetite problems to heart attack. Social symptoms of bereavement include isolation from other loved ones and difficulty functioning at home, school, and/or at work. For children and adolescents, reactions to the death of a parent or other loved one tend to be consistent with their reaction to any severe stress. Such reactions usually reflect the particular developmental stage of the child or adolescent. For example, since infants up to about 2 years of age cannot yet talk, their reaction to the loss of a loved one tends to involve crying and being more irritable. They further show physical symptoms of sleep or appetite problems, changes in activity level, and being more watchful of (vigilant toward) their surroundings. Since preschoolers from 3 to 5 years of age begin to be able to remember the one who died but have not yet developed the ability to understand the permanence of death, they may believe they somehow magically caused the death and can make the person come back. In addition to showing signs of grief that are similar to infants, they may have more difficulty separating from caregivers. Early school-aged children, from 6 to 8 years of age, more likely understand that death is permanent compared to younger children, often feel guilt about the death of the loved one, become preoccupied with memories about the departed, and try to master the loss they have suffered by talking about it frequently. While symptoms of grief in school-aged children from 9 to 11 years of age are quite similar to those of early school-aged children, this older group is more vulnerable to a decrease in self-esteem because they feel different from their peers if they have experienced the loss of a loved one. They are also more prone to defend against their feelings of loss by becoming engrossed in school, social, and/or extracurricular activities. In keeping with their budding need for independence, young adolescents 12 to 14 years of age may experience mixed feelings about the deceased individual and exhibit a wide range of emotions. They may avoid talking about the loss. Older teens usually experience grief similarly to adults, enduring sadness, anxiety, and anger. They tend to deny their feelings of loss to parents but discuss them in detail with peers. For children, adolescents, and adults, as with any major stress, grief may cause a person to regress emotionally, in that they go back to former, often less mature ways of thinking, behaving, and coping. Symptoms of complicated grief include intense emotion and longings for the deceased, severely intrusive thoughts about the lost loved one, extreme feelings of isolation and emptiness, avoiding doing things that bring back memories of the departed, new or worsened sleeping problems, and having no interest in activities that the sufferer used to enjoy. Teens tend to react to the loss of a loved one that died through suicide similarly to the ways in which adults experience complicated grief. Regardless of age, individuals who lose a loved one from suicide are more at risk for becoming preoccupied with the reason for the suicide while wanting to deny or hide the cause of death, wondering if they could have prevented it, feeling blamed for the problems that preceded the suicide, feeling rejected by their loved one, and stigmatized by others.